My post is mainly an update to Global Oil Supplies as Reported by EIA's International Petroleum Monthly for September 2010, based on data which the EIA reported in the past few days. I will also briefly present updated information regarding OECD and Non OECD oil supplies/consumption. The stacked columns show crude oil and condensates supplies split among OPEC, Russia and ROW (Rest Of World which also includes OECD), from January 2001 through August 2010. The development in the average monthly oil price is plotted on the left hand y-axis. Note that world oil production has been on a plateau, from late 2004 to the present, with a small dip when prices dropped in late 2008 to early 2009. This graph considers crude and condensate only, excluding natural gas liquids and other forms of liquid energy, such as biofuels. NOTE: Scaling varies from chart to chart and some charts are not zero scaled. Labels indicate whether graphs are on an "all liquids" or "crude and condensate" basis. Figure 01: The stacked columns in the diagram above show development in global supplies of crude oil and condensate, NGL and other liquid energy from January 2001 through August 2010. The development in the average monthly oil price is plotted on the left hand y-axis. NOTE: Diagrams based upon EIA data may be subject to future revisions. Figure 02: The stacked columns shows crude oil and condensates supplies split among OPEC, Russia and ROW (Rest Of World; which also includes OECD), from January 2001 and as of August 2010. The development in the average monthly oil price is plotted on the left hand y-axis. Over the period covered by the graph (2001 to present), growth in Non OPEC supplies have primarily come from Russia. Oil supplies from the "Rest of World" (ROW) have not grown. The long bumpy plateau from late 2004 to the present illustrates that huge swings in oil prices in recent years have had only a small impact on crude oil and condensate supplies. EIA in their STEO (Short Term Energy Outlook) for November 2010 projected a slight decline in OECD and Russian petroleum supplies from 2010 to 2011, but a smaller decline than in the September STEO had shown. Under most circumstances, it could be expected that most of these declines would be offset by growth in OPEC supplies. Figure 03: The diagram above shows development in OECD consumption of petroleum products between January 1990 and June 2010 together with the development in the oil price. In the recent months, petroleum consumption within OECD has seen some growth and this coincides with the recent growth in the oil price. Figure 04: The diagram shows development in net oil imports for OECD from January 2000 through June 2010. This diagram shows that the recent oil price growth happened as OECD again started increasing oil imports. This is one of the indicators suggesting that the oil price now has strong support based on fundamentals. 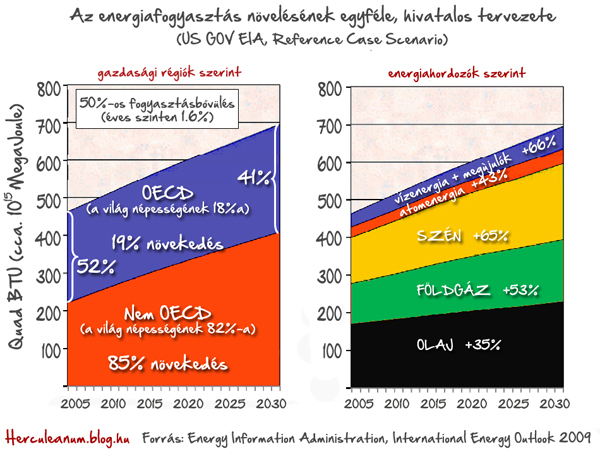 Figure 05: The above diagram shows implied demand for liquid energy from Non OECD countries from January 2001 through June 2010. (I describe it as implied demand as the diagram shows the difference between total global supplies of liquid energy and OECD supplies (production + net imports)). Figure 06: The stacked columns show the split between OECD and Non OECD supplies of liquid energy from January 2001 through June 2010. The average monthly oil price is also plotted on the left hand y-axis. If we start with Figure 05 there clearly was a strong growth in demand from Non OECD starting early in 2009. From the diagram it shows the price grew with the demand growth from Non OECD. OECD demand was tanking at the time. To me this is a strong indicator that price in this period was driven by Non OECD demand. As OECD production continues to decline, a growing need for imports into OECD (ref figure 04 in this post) is expected to add upward pressure to the oil price. Oil imports into OECD will normally tend to be higher during the heating season (winter in the Northern Hemisphere) and this suggests an upward pressure on the oil price in the months ahead. Within a couple of weeks, I hope to post here on TOD an in-depth analysis that shows that at the current costs (as of first half of 2010), one can expect that in the U. S., an average annual oil price of $80 - 85/Bbl (Brent spot) results in GDP exclusive of energy expenditures that does not grow. This means that the present growth in U.S. GDP covers growing energy expenditures. Energy expenditures are costs for petroleum products, plus energy resources for non energy use (asphalt, coke, petrochemical feedstock etc. ), natural gas and electricity). Figure 07: The stacked columns show each OPEC member’s crude oil supplies and OPEC’s supplies of lease condensates and NGLs from January 2001 through August 2010. The average monthly oil price is also plotted on the left hand y-axis. To me, the recent growth in the oil price (adjusted for fluctuations in the value of the US Dollar) is a signal calling upon increased crude oil deliveries from OPEC. Figure 08: The diagram above shows crude oil supplies from January 2001 through August 2010 for Kuwait, Saudi Arabia and United Arab Emirates. I believe most of present global spare marketable crude oil capacity is to be found amongst the 3 exporters presented above. Saudi Arabia increased their crude oil supplies by 300 kb/d between April and July of this year. It is not clear whether one can conclude that this caused some retreat in the oil price, but it is an interesting coincidence. Figure 09: The stacked columns shows development in crude oil supplies from the 9 other OPEC members. The average monthly oil price is plotted on the left hand y-axis. Total crude oil supply from the 9 OPEC members above have remained relatively high and flat during the recent months, suggesting that these countries are pumping at maximum levels, regardless of price. In summary, November's International Petroleum Monthly supports a continuation of the trends I had noted in my earlier post. In other words, world economies are still growing, putting more pressures on oil prices. By the end of 2011, my earlier analysis showed that the OPEC spare supply margin may be depleted. The next few months may be interesting ones! Any idea what accounts for the steep drop in Other Liquid Energy? When I made the figure01 I noticed that there was a drop of around 1 Mb/d in other liquid energy from July to August, but as of now I have no explanation to offer for the reason for this drop. Data in the recent IPM's has been revised several years back, so as of now I will just wait and see if this is the result of a typo......... or start of a trend. What do you think the spare capacity of Saudi Arabia, Kuwait and UAE is at the moment? Short answer to the question above is that I expect that the 3 countries in question presently have around 2 Mb/d of spare marketable crude oil capacity. EIA STEO for November 2010 estimates that KSA, Kuwait and UAE have a total of 4,42 Mb/d of surplus crude oil capacities as of 3rd quarter 2010. The present crude oil price also suggests to me that surplus capacities are smaller than what EIA and IEA estimates. In my post OPEC’s Spare Crude Oil Capacity - Will it disappear by the end of 2011? I tried to build a case on how OPEC oil supplies responded to the run up in oil prices to around $147/Bbl may have give a lead on how much spare capacities they have now, relative to what OPEC delivered in the summer of 2008. This OPEC "high" happened while some of the world’s leaders travelled to Saudi Arabia and asked for increased oil supplies and IIRC President Bush also asked KSA to increase oil supplies which led him to state that it was hard to ask anyone to increase their supplies if they had a hard time doing so (or something to that effect). During the summer of 2008 KSA, Kuwait and UAE sustained (that is a supply that can be brought in within 30 days and maintained for 90 days or more) a high crude oil supply of 14,65 Mb/d. According to EIA data these 3 countries had a total supply of 13,10 Mb/d during August 2010. That number certainly looks right to me. Of course we can have no exact knowledge of excess capacity, but it is a reasonable number, and you clearly explained how you got it. The question of the amount of excess capacity is a crucial one, especially for the immediate future. Thanks for your reply. I agree with you that by the summer of 2008 global spare capacity had gone. Otherwise all exporters would have taken better advantage of oil prices over $100. Looking at your graph KSA reduced production by about 1 million a day between 2008 and 2009. If you look at the Oil mega projects, several Saudi developments have come on line since than. If all of these produce what they are supposed to than Saudi spare capacity is one million plus the above fields, minus comsumption increase from 2008 to now. Do you doubt that these fields will produce these amounts? Do we have good reason to doubt these numbers? The question should be: Do we have good reason to believe these numbers? We have very good reason to believe that these three nations grossly exaggerate their reserve numbers. And though Iraq is not one of these three, we have good reason to believe that they will get nowhere close to 12 million barrels per day that they claim they will from new drilling in their old depleted giants. Even the IEA does not believe them. Therefore we can infer that countries in this region have a strong predilection to exaggerate both reserves and production capacity. And actual production numbers from all fields is a closely held state secret. Yes, I have serious doubts that these fields can produce these amounts. There is no way for me to verify the data listed for fields/capacities added in KSA in recent years. Therefore I will take those data at face value. However, looking at areas where more data is readily available, like the Norwegian North Sea, I have noted that the annual production (as reported by NPD) may be around 10 % lower than the nameplate capacity due to scheduled maintenance etc.. And even for an area like the Norwegian North Sea with good access to data I found that the Oil Megaprojects on some counts is not up to date. (No, I do not have the time available to do additions/updates to the Oil Megaprojects). Another thing is that what is listed in Oil Megaprojects is (what I presume to be) nameplate capacity and normally when a field starts to flow it builds up capacity over time. Since 2008 it should be expected that some of the older fields in KSA also have had their capacities reduced due to depletion (what annual decline rate should be applied to KSA?). Short answer is that KSA may have another 1 Mb/d marketable crude oil capacity now relative to the summer of 2008 and only time may tell what capacities KSA really have. These three countries are producing about 1,700,000 barrels per day less than they were during the summer of 2008. They were all three producing flat out then. Since then Khurais that added to their production capacity and just over two years of decline to subtract from it. An educated guess would put their spare production capacity at around 1.5 million barrels per day but it could be anywhere between 1 and 2 million barrels per day. But that spare capacity is dropping fast and will be largely gone by the end of 211 at the earliest and by the end of 2012 at the latest. I think you are right, but at the moment I think KSA is voluntarily reducing production slightly to jack the price of oil up to $90. That is what the price-leadership oligopoly model says they will do. And there is no doubt that OPEC is indeed an oligopoly--a cartel, to be more precise. It looks like a mistake by the EIA in reporting domestic US production. It appears they accidentally dropped about 1 million barrels per day from their total liquids production by omitting to add in "refinery gain" which is normally included in their "liquids" figure. Either that or they have decided they have been overestimating production and temporarily took the entire hit in August prior to going back and downrating earlier months. See discussion between Darwinian and myself in yesterday's Drumbeat. 2010-2011: OECD demand slightly increased, developing world demand increased significantly, prices are rising even with OECD consumption off by 3 MBD. 2012-2015: Supply decreasing and developing world growth? Ouch. Competition and price for oil grows exponentially. There is one thing I have noted from figure 05 showing Non OECD demand, and that is their growth in demand seems to level out as oil prices heads north of $75/Bbl. If this is just temporarily or if also some Non OECD economies (importing most of their oil consumed) now starts to feel the effects from high oil prices is yet unclear. Locally, I have noticed that the End of Suburbia is not happening. What is happening is that the folks with less discretionary income are being affected more by the economic downturn. These are the folks that can no longer afford to burn fuel -- the folks in the Suburbs are doing quite fine with their white collar high-paying jobs. Maybe that observation can be expanded and applied globally. I have in the pipeline a post which shows that as of 1st half of 2010 U.S. GDP exclusive of energy expenditures does not grow at an oil price (Brent spot) of $80-85/Bbl. In other words at an oil price of $80-85/Bbl growth in U.S. GDP was caused by growing energy expenditures. What I have defined as energy expenditures are expenditures on gasoline, diesel, kerosene etc, non energy use of petroleum products (petrochemical feedstock, asphalt, coke etc. ), natural gas and electricity (which covers coal, nuclear, hydro, some natural gas and renewables). Non energy use of petroleum adds to the demand for crude oil (petroleum products in general). I find it hard to understand this result. The cost of imported oil does not get into U.S. GDP at all, because it is not produced within the borders of the U.S. using U.S. located capital and labor. Now the higher oil prices do indeed reduce demand for and consumption of all other goods besides oil, and thus a higher price for oil definitely does suppress real GDP. For next year I think the most likely outcome is about zero growth in real GDP, and that is what you came up with too. I think we're using similar approaches to get that result. The Consumer Price Index and the GDP deflator are likely to rise because of the rising price of oil and other commodities--and then there is QE2 with its unpredictable results. Yes, imported oil appears in U.S. GDP (Gross Domestic Product) numbers. Imported crude oil (or energy in general) is the biggest item on the U.S. trade deficit. Costs of imported crude oil (energy) is deducted from the GDP (reduces GDP). What consumers buy is refined crude/petroleum products like gasoline, distillate/diesel, kerosene etc. and refining crude oil and distributing it adds to U.S. GDP. Roughly, one imported barrel of crude oil into U.S. at $80/bbl retails on average for around $120/Bbl when refined into its various products, distributed and sold. Selling gasoline adds to the GDP. So going back to the equation above for GDP you will find the retail of this refined barrel ($120/bbl) of crude oil at Consumption, while the imported oil barrel reduces GDP with $80/Bbl..... a value of around $40/Bbl has been added in U.S.……….in other words, and this is the paradox with crude oil, the more U.S. imports of crude oil the higher the GDP becomes due to the effects from added value from refining and distributing it. At some point price will of course start to affect consumption. You are right, cost of imported oil SUBTRACTS from U.S. GDP and thus is not a (positive) item in U.S. GDP at all. I think I misunderstood your words. I see a price curve that is inexorably rising. And a good thing too, as it will continue to stimulate innovation and adoption of alternative technologies in the pursuit of utility maximization. Jurisdictions ahead of the curve will accelerate this process through the imposition of carbon taxes and other more direct measures intended to spur investment. Sadly, it appears that the US doesn't have the wit to do this despite the admonitions of the likes of Bill Gates. "Lease Condensate" makes up about... what, 2-5% of the Crude/Condensate pie? For OPEC lease condensates was around 3 % of (C + C) in 2001. As of recently OPEC lease condensates is around 6 % of (C + C). Wondering if you could clarify your remarks regarding Non OECD demand immediately before and after figure 6? After: To me it appears that the recent growth in oil prices has been driven by growing demand/consumption within Non OECD countries. I should perhaps spent a few more words in the post on specifying this. If we move forward in time, starting around spring 2010, demand from Non OECD remained flat while net imports into OECD started growing, ref figure 04. I will edit the text to reflect this. Great work, beautiful graphs! What software do you use? I have a minor remark. On figure #1 you call the red columns 'other liquid energy', and I think it is somewhat misleading. It is other liquid barrels (the same is true for NGL). The energy content of these fuels is different, so I'd probably rename the legend. Other than that, excellent. Many thanks. I use the graphical package in Excel (Office 2007). “Other liquid energy” is ethanol, biodiesel, refinery gains etc. and the units are in Mb/d (Million barrels per day; ref the right y-axis). That should have been specified. With regard to volumetric heat content NGL’s are 70 - 75 % of crude oil and Other Liquid Energy 60 - 70 % of crude oil. “Other liquid energy” is ethanol, biodiesel, refinery gains etc. and the units are in Mb/d (Million barrels per day; ref the right y-axis). Sure, I'm aware of that. All I wanted to say was that energy contents of ethanol are different from crude and the same is true with regards to NGLs. The legend says other liquid energy, and I'd probably call it 'other liquids' and leave the energy part out. Well, you are pretty good at it. Your graphs have artistic value. I created my fair share of graphs (many of which were posted here a year or so ago) but I have a lot to learn when it comes to design. Here is one. It is in Hungarian but I'm sure you'll understand. Rune, great post - clear and comprehensive. But there's an artifact with biofuels: they are counted twice, once for the biofuels themselves and again for the roughly equal amount of fuel that goes into producing them. Oil that is used to make more oil (or oil substitute) shouldn't count in the available fossil fuel supply. Well yes and no this is really simply EROEI. Its a different issue even for oil the net energy minus energy used by the petroleum industry has declined. If one is willing to go a bit further and include military energy usage protecting democracy in oil rich countries then its declined even more. If your willing you can even discount oil burned using debt heloc's/credit card debt that was later defaulted on. All those barrels where burned effectively for free and the expense passed on to future generations. Going just a bit further consider investment's in SUV's as oil becomes increasingly dear. This could well be expanded to new infrastructure which may be useless and suburbia in general. Eventually what your talking about are the real long term wealth gains achieved burning various barrels in a sense it does not matter if its to extract more barrels or to charge one last vacation before bankruptcy. Society has overall gained very little real wealth from the last decade. Depending on how you do the math it seems clear that the ability to create real wealth via burning oil has literally crashed. Biofuels are literally the tip of the iceberg of a more general problem. A world built on growth underpinned by cheap oil has had the rug pulled out from underneath it. Only ever more extreme financial games are papering over the obvious. This becomes obvious as you work through generalization of EROEI to include financial and eventually real lasting material gains. Financial trickery simply induces asset bubbles resulting in redistribution of our dwindling wealth based on your connections eventually ending in the Central Banks. Not only has the general ability to create wealth collapsed with the advent of expensive oil but financial games to cover up the situation simply lead to a rapid concentration of wealth making matters even worse. For a while at least the slosh from wealth rapidly concentrating at the top acts as a warped sort of trickle down theory. The shear speed and amounts concentrated at the top leads to slosh or spillover so its slosh theory if you will vs trickle down. Basically some of the wealth is sloshed back down the rapidly sharpening pyramid to keep the scheme going. Think of it as a ponzi scheme with the core players periodically paying dividends to the suckers to keep them in the game. And last but not least it should be obvious that ethanol is simply a variant of the fake dividend game. Once you generalize there is no intrinsic reason to pick ethanol over say zero down fog a mirror home loans. All of it is designed to keep the game going just a little bit longer. And its all the guys at the top can do now outside of some sort of Marxist real wealth redistribution coupled with free market/survival of the fittest vetting of our economy to create a society that can again create real wealth on a far more limited energy budget. It would have required extreme taxation of the rich with none distorted public investment in lasting gains rail for example and in addition a rapid increase in the value of stored wealth i.e savings at the expense of debt. You would have moved the society to one that made much smaller but sustained gains in wealth literally turning the financial clock back almost 500 years to the time before America was discovered and Europe/Asia had depleted their resources reachable at the time, this time its the whole world wealth wealth trickled in from what could be gleaned from the yearly cycle. It need not be sudden and of course technology would increase our ability to concentrate our solar wealth but of course the population is also substantially larger. Overall we would be significantly poorer vs the people of 500 years ago by most metrics. More comfortable in many ways but still poorer. At this moment expensive oil coupled with financial games is working to hide the intrinsic collapse of the cheap oil/growth economy. This illusion could be ripped away any day or perhaps slowly fade I doubt the latter but its not impossible. Indeed perhaps we manage to grow without oil i.e transform the fiat wealth into something that we are willing to trade and value over food clothing shelter. Again I doubt it but its possible. In any case following the concept of EROEI eventually results in my opinion in us having already run well over the edge of the cliff with only group psychosis effectively keeping the game going no one want to look down just yet. One day that won't matter. Memmel, your comment about net energy minus energy used by the petroleum industry got me thinking about the Canadian petroleum industry. Having worked in it, I know that the energy industry is a very heavy consumer of its own energy (the EROEI concept again). Now, at this point in time Canada is exporting more oil and oil products to the US than it is consuming itself. Over half of Canadian oil production is non-conventional or heavy oil, and the energy consumption in producing it is enormous. This badly skews Canadian energy statistics because all this energy consumption is counted as Canadian, whereas the oil and products (Canadian refineries process a lot of oil for the US market) go to the US. So it looks like Canadian energy consumption and greenhouse gas emissions are very high, when in reality a lot of it is devoted to keeping American drivers on the road. So, take a typical barrel of non-conventional oil. It is produced by a SAGD well pair in the Athabasca oil sands, upgraded to sweet, light synthetic oil near Fort McMurray, is pipelined to Edmonton, goes down the Trans-Mountain pipeline to the Port of Vancouver, and then is loaded on a tanker bound for California. All of the energy consumption for the steam generators at the SAGD project, the power plant at the upgrader, the fuel for the pumping stations, and the fuel for the ship are counted against Canadian consumption. Then the consumer in California puts it into his "American" SUV, oblivious of the fact that it was built in Canada from steel milled in Canada from ore mined on Baffin Island, high in the Canadian Arctic (or some other remote place). And all that energy involved in producing it counts as Canadian consumption. Meanwhile, people in Calgary riding the wind-powered C-Train, people in Vancouver riding the hydro- powered SkyTrain, and people in Ontario riding the hydro and nuclear powered Toronto subway and streetcars are wondering how they can reduce their energy consumption and greenhouse gas emissions. Well, they could just stop exporting oil and automobiles to the US. Now, I'm not suggesting that Canadians do that. It generates a lot of wealth in Canada which pays for a lot of expensive services. Free health care, electric powered public transit, and a first-class education system leap to mind. Americans do not have these - they get to drive big, gas guzzling SUVs down 18-lane freeways instead. From the Canadian perspective, it's a great trade-off and well worth the problems. From the American perspective - they need to rethink their priorities. Rocky - very interesting...thanks. You also highlight the difficulty with trying to use EROEI or any similar metric: The system doesn't work in this realm. It works like all other enterprises: dollars in/dollars out. There is a rough correlation between the two but, in the end, I've yet to see a single decision based on any factor other than monetary value. EROEI calculations are an interesting academic exercse and do offer some insights. But the process you describe with the Canadian tar sands is a good example: it's a process that goes forward due to the monetary gain by Canada companies. Thus it's a combination of US and Canadian priorities. And so far US priorities appear unchanged: let others generate our energy needs and assign whatever burdens that entails to them. Works for us obviously. LOL. If at some time Canada has to start paying for it's generation of GHG than it will need to find a way to tack it on to it's oil sales. Excellent counter example to wasted energy and money. In a lot of ways as you point out Canada is using its money wisely creating real wealth. I know I don't define wealth. I leave it a bit nebulous but its basically paid off infrastructure and fully funded recurring expenses. Debt leverage is not used to support the standard of living today. Debt for creating new wealth is obviously different thus I use the loose term wealth. Obviously the Canadians generally have created a real baseline of wealth from oil. It has its problems I work a lot in Montreal and eastern Canada used to be a much wealthier place than it is today. Canada for obvious financial reasons chooses to send its oil wealth south. However its eastern provinces have not benefited from value add wealth creation off the oil. Of course there are political forces at play but my point is only about how the energy flowed its not optimum for Canada over the long term. Assuming Canada sent its oil east internally the rate at which it could be converted to value add products would have been much lower and perhaps the rate at which the standard of living improved lower. Perhaps the real problem is I see that a high standard of living for people is a finite goal. You would want some sort of decent living structure, electricity, water, food entertainment access to transportation education etc. Basically what we consider middle class in the general sense but closer perhaps to a European lifestyle than US. You can certainly have a middle class lifestyle without driving a SUV or living in Suburbia is what I'm trying to say. Its not a hard concept but its reasonably well defined. The nations goals would be to ensure some sort of baseline quality of life for its citizens for as long as possible. Overtime it would seem obvious that this would require increasing use of renewable resources. Renewables would be used to simply ensure that the government met its real mandate other benefits are secondary. Nuclear energy despite its problems meets the mandate for example. Fossil fuels are not bad simply they would need to be used in such a way that in time they could be phased out. On top of this then nation should manage its population the citizens must also collectively hold up their side of the problem by keeping their breeding/immigration rates low enough to allow the nation to build its wealth and maintain its standards without falling into exploiting of resources in a way that leads to a dependency that cannot be replaced. In the end the concept is probably very simple the Nations job is to ensure that substitution remains viable in all aspects of the economy. Its really basic economics when substitution fails the economy will eventually fail. The governments job would often be to level the playing field if you will to ensure viable alternatives. For non-renewables this means front loading the eventual cost of replacement forward in time and using the money to ensure that alternatives have enough market share to take over later on. What this suggests is that viable substitution is the central economic theorem. Without it a economic system eventually fails. Also obviously I don't think you can depend on market forces or money to ensure that substitution remains viable simply because infrastructure may not be replaceable when a non renewable resource begins to fail. A simple example is of course Easter Island which used its trees in a non-renewable manner. A economy does not or more correctly is incapable of ensuring that its flexible enough to adopt substitutes when short term market demand comes into existence for them. This is the fatal flaw of our current economic models. We believe in general that we are flexible enough to change only when its profitable to do so. Canada is much much better but you can see it is not perfect and has squandered a substantial amount of its intrinsic wealth leaving its future uncertain. Indeed for Canada at least the real problem is very similar to what we face with Mexico, by subsidizing America's unsustainable economy all three nations face the collapse of a neighbor over a long border. Mexico by catering to our oil and drug trades and Canada by feeding our oil and other resource addictions have created a monster that will probably lead to the eventual destruction of Canada. And finally you see the big mistake the US with Mexico and thence Canada with the US. In the case of Mexico the nature of the Drug/Oil trade has resulted in Mexico collapsing first but order is not so important all three countries are now locked in a death spiral from catering to American addictions. Just as obvious I hope is the fact that a Government dedicated to ensuring a long term sustainable standard of living also must ensure that its trading partners esp the ones it shares borders are also along the same path. It cannot be only a internal policy but also effects international trade. I will say kudo's for trying to do the right thing I wish you guys had tried harder perhaps you could have forced the US to change if you had really thought through the problem. Indeed Canada still has a chance you can always do the right thing in your case I'd suggest simply shutting down your heavy oil operations yesterday. Later decide if you wish to exploit them or not and if so keep the damned oil in Canada don't sell it to us we don't need it. So even at this late date Canada could break this cycle of addiction for the long term good if its willing. You can't expect Canada to cut off its energy supplies to the US. It is very much in Canadian interest to export energy to the US, if for no other reason than it also enables Canada to export automobiles to the US. There is an internal problem in Canada that results from the fact that the country was settled from east to west. The vast majority of the population is in eastern Canada (especially Ontario and Quebec), while the vast majority of the natural resources are in western Canada (especially Alberta and British Columbia). Eventually this will sort itself out because in the long term the population will move to where the natural resources are, but in the short term it is somewhat distressing for people in eastern Canada. Canada does have the advantage that it has a very low population in relation to its land area - it has fewer people than California, or Spain, in an area larger than the United States, or Europe. This gives it a lot of natural resources to sell to other regions to maintain its lifestyle. You are right about the importance of substitution in economic theory. By the way economic historians (The Department of Economic History is separate from the Economics Department, and they seldom communicate much with one another.) do not fall into the error of always relying on the power of substitution. I used to teach the economic history of the U.S. It was one of the most fun classes I ever taught. Did you know that Rhode Island dominated the production of rum in the Colonies and then states for more than a century? You learn all kinds of fascinating stuff in economic history--fluctuating cost of slaves caused by changing supply and demand factors, changing concentrations of wealth and income, and hundreds of other interesting things. There are several most excellent textbooks on U.S. economic history. You can get an old out-of-print one on amazon.com cheap. Even a book forty years old can be of great value, because the older books put more emphasis on the very early part of Colonial and U.S. economic history. Newer books skimp on the 17th and early 18th centuries. I agree that it is hard to estimate the subsidies from other fuels for production of biodiesel, ethanol etc.. That is why I have focused on splitting the supply, as far as available data allows, into crude oil, condensates and NGL’s. The group of other energy in liquid form also includes refinery gains. For most of the OECD countries I have consumption data (as of June/July 2010) also in a graphical format which I have considered for a future post. In a world with declining supplies and net exports it will be interesting to see how remaining net exports becomes distributed. Some of the net exports (an estimated 50 %) is now locked into long term contracts. Rune, I suggest you develop similar incremental graphs for demand. Then changes will be clearly visible. If leaders keep choosing to outrageously overconsume and hoard; to relentlessly overproduce unnecessary stuff; to over-grow businesses to the point of "too big to succeed"; and to silently condone the unbridled increase of absolute global human population numbers in the planetary home we are blessed to inhabit, as so many leaders are adamantly advocating and recklessly pursuing now, what chance do the children have for a good enough future? This way forward looks like a "primrose path". For the short term the way forward looks great, but foresighted people can already discern forbidding, human-driven, global ecological dangers in the offing. Human overconsumption, overproduction and overpopulation activities worldwide can readily be seen mortgaging the children's future and threatening their birthright. Can we describe "sustainable behavioral repertoires" for individuals that elders can begin to exemplify and children can emulate? Can we define the elements and develop the plans for sustainable business enterprises? Simply always paying cash for everything is a start. What a car save your money ride a bike then get a car. Want the car to last ? Don't use it often keep riding the bike as often as possible. Recognize its a luxury not a necessity. Nothing wrong with having luxuries if you recognize what they are. If every individual only makes purchases from saved money and also respects the luxury for what it is then collectively the world changes. Obviously such a person would probably be careful in his/her reproductive behavior. Marriage and children would come in time when your ready. And of course one has to thing they would value their children. Obviously esp for women there are biological constraints but on the same hand a frugal lifestyle would also you would not want as much stuff for your children. need to do is change the inheritance concept to recognize our natural lifespans. Heck today it could even be great-grandparent to great-grandchildren. Basically oldest generation to youngest. By doing so wealth would be recycled correctly from the top to the bottom. And it should be just as obvious that expansion of the population is difficult because providing for the third or fourth child at the level of two or one would be hard. Not impossible and not forbidden but simply and fundamentally restrictive. More often than not a family lineage would have a small excess in one generation and a deficit in another pulsating with little or no total growth. As overall wealth grew fairly naturally from one generation to the next keeping population levels sustainable would be a problem not overpopulation. Such a society would be more concerned with people having enough children keep population from declining too rapidly. The younger generations secure in their inheritance would tend to explore and enjoy their youth not to excess like we know today but more akin to monastic'ish lifestyles. Youth traveling the world before settling down. Exploring a skill, educating themselves. In time when the novelty waned settling down in Grandpa's house would be attractive. A laid back financially and emotionally secure society with each generation and it should be obvious that such a society would have many members that choose alternatives to the house and two kids secure in their inheritance. Others may desire more say up to four before societies constraints are enforced. The point is at the individual level in general as long as a reasonable number eventually choose to have no children or one child there would not be any need for extremely ridged population controls. As I said I suspect keeping the population from falling to fast would be more of a problem. Creating such a society is not hard and within about 4-5 generations it would have stabilized. In my opinion over the long term it would seek to stabilize close to the minimum population required to support the complexity of the society. Here we can start looking at complete economies or the minimum number of people required to create a modern economic system with all of its specialties. This number is quite small. I often use California as and example 30 million people in California are capable of producing every facet of a modern life. Of course intrinsic wealth or natural resources are distributed so perhaps this number is too low one can expand it to the entire US. It should be obvious we don't need 300 million people 150 million could have readily created a technologically advanced society capable of supporting all of its members. Expanded to the globe perhaps a billion or less more likely 500 million. Each concentration of people needs its support infrastructure and people working in various roles. Obviously you don't get any real gain in overall technical capacity after a fairly low number. 500 million is a good number with plenty of flexibility population could fairly readily vary from about 300 million to say 800 million. One billion would be just a bit high in my opinion putting some stress on the regional ecologies. Technology would advance and in time many would have the option of leaving our planet to live elsewhere eventually the starts. Earth would I suspect increasingly become a sort of ecological resort planet/ retirement/ breeding ground. It would be a place for people to get that natural experience of a planetary ecosystem and eventually one of many effectively backwaters as the almost infinite number of off planet lifestyles developed. I'm sure such a society would exploit space in the same careful manner as they did planets with ecological systems. Nature is nature. However just as obvious the constraints would be much lower. Artificial habitats that in aggregate where larger than anything a planet could support are possible but the shear size of the universe would ensure that a careful society would not exploit a particular system to ruin. As a species we would enjoy and indeed savor our evolution through technology time and space each step would be done to maximize its benefit not only to the current but future generations. Its not unreasonable to consider that in time we may well be no longer constrained by our current biological life spans. Even today the ability to break such constraints is not unreasonable. However by the time we managed to do so one has to imagine that people would also eventually be capable of managing their own personal life spans. Life as we know it would become a constraint and such a technically advanced society is bound to develop alternatives. Sorry to go so far out into the future but I think that by only following a course to its natural conclusion and looking ever further out can you then really work back to today and see what we must do to change. We don't of course have to make such choices eventually the simple constraints of our ecosystem esp given the damage we have already done will ensure that we will evolve along the above path like it or not or go extinct. The only real question is how much pain and suffering will happen before we finally adopt the correct path ? Given the intrinsic flexibility of humanity and our ample annual budget of solar energy total extinction is in my opinion unlikely. in our societies before our innate group stupidity is finally expunged. The problem of course is each horrific collapse leaves us in and overshoot condition allowing the survivor to fall right back into exploiting whats left. destructive levels less easily. Until finally the cycle of expansion and collapse itself slows. So today I'd argue we are entering the first of what is probably several global collapses. In that we are unique being in a real sense the first of the last stupid global human cultures. Given the devastation we have wrought one can be fairly certain that follow on stupid collapsing cultures will never reach the heights of stupidity we have. So no only are we first but our collapse will be the most horrific of the series. Each follow on culture is certain to collapse from ever lower highs until finally sustainability emerges. Depending on how long we cling to our stupidity this could take thousands of years and generations. No real telling as I said I can readily see 2-3 more rounds as being very likely. At least three or more rounds of collapses (or partial collapses) coming down the road. This idea fits in with what John Michael Greer says in THE LONG DESCENT. From what I have read, extension of life span to about 300 years is feasible based on what is now in the journals (not yet in the lab). It is conceivable that the very rich in an economy with less than one tenth the current GDP could affort the treatments for life extension. Did you ever read the excellent science fiction story by Horace Gold titled "The Old Die Rich"? It was published back in the mid nineteen fifties, the real golden age of science fiction. Yeah its a bit funny really to realize that we are the first of a series. However if you think about it a bit we have a enormous amount of waste in our society most of it infrastructure. And of course population collapse from disease and ware is entirely possible. On the opposite side the fields we have blanketed with buildings are still there the land exists. It can eventually return to fertility in many cases. Our dumps and decayed building will become the new mines of the future. Assuming suburbia collapses there is a near infinite amount of metals that are reasonably well concentrated available. Same for our cities. For the most part the coal is still ample. Nuclear, Hydro and solar could readily power a echo civilization. Assuming they again allow rampant population growth they will again hit constraints. For them continued climate change left over from our civilization coupled with unconstrained population growth is likely to lead to collapse at a much lower level of excess than we achieved. One can even suspect that regional nuclear war would be more likely as nuclear power would be critical to such a society but large super powers impossible to create because of other constraints. Regionally smaller totalitarian states massacring people and periodically nuking each other is in my opinion the most likely outcome nuclear accidents will also play a role. This will make whole regions unfit for human habitation not that people won't inhabit them but the diseases resulting from the radioactive fallout coupled with biological plagues will keep population low in these wastelands. In time of course the radioactivity will decay and the ecosystem will recover. Chernobyl if you will on a larger scale. Variants are of course possible but I'd say that the next civilization will be one based on the collapse of attempts to use technology to bypass the natural constraints of our planet. The third one is perhaps to distant to see but in its case I'd argue that its rise and fall would be based on exploiting of regions that where rendered unfit for human habitation on a large scale by a combination of nuclear/biological war and climate change during the previous civilization. These regions would finally be recolonized and exploited again to the point of collapse. This time around I'd suspect by a more balanced society but one still incapable of living within its constraints. I'd also expect such a civilization would be more adept at biological warfare than the previous one. For this civilization I foresee a situation very close to what happened in America where disease was leveraged to empty the land. The only real difference is it would be designer germ warfare instead of natural vectors. Finally after this we probably have introduced all kinds of new diseases making it difficult for lower technology survival. Staying alive in a world with all kinds of designer plagues targeted at killing people would be hard. This of course would lead to isolation of the various populations allowing these warfare vectors to die out over time and also I suspect finally resulting in people simply dropping them. I'd suggest that at this point humanity could potentially go extinct. We could well not make it through such a bottle neck. However biological warfare generally requires a certain population density and transmission rate. All plagues tend to naturally die out. It probably will result in people fundamentally scared of ever living in a dense manner. Survival of the species would require a return to villages and smaller towns out of necessity. As this happens biological warfare becomes increasingly less useful both in the basic ability to mount it and in the ability to achieve its goals. Time of course will eventually allow us to rid ourselves of the direct vectors however the knowledge of how to wage biological warfare just like nuclear war would still exist. This knowledge will intrinsically constrain the societies of that period to keep population density low to ensure that no one is again tempted to lose a plague to expand. Only then once we finally disperse our population and also keep the density low enough to ensure that we cannot murder each other on a large scale will we finally at last follow a sustainable lifestyle. Not out of choice but simply because anything close to what we do today could easily be destroyed using the now extensive scientific knowledge developed to kill any large concentration of humans. Out of necessity just like WWII resulted in dramatic expansion of physics in general the bio-war period will result in a dramatic expansion of potentially peaceful use of our expanded understanding of biology. And of course to repeat a natural stalemate preventing people from concentrating to the point they can overpower their neighbors. And finally we reach the point that humanity has little choice but to abandon its desire to exploit and conquer and kill ourselves. A living human would actually be considered of some value and our ability to destroy our ecosystems finally curtailed. All the past periods of exploitation would ensure that gains from going down the exploit route would be minimal at best. Surprisingly after all this is over knowledge from developing closed ecosystems to survive the various plagues and other advances will have actually prepared us to easily live for real in space. Not exactly the best road to get to the end game but my point is regardless of what we do unless we actually manage to exterminate our selves in the process we will eventually end up having no choice but to follow the only viable long term path. All I wonder really is if we will decide to stop at some point and not go down this road and instead actually take the alternative up early. I doubt it but somehow I can't give up hope that we might simply leap forward. I think we intrinsically have the ability to reject scenarios similar to the above. I think our planet would be better if we decided to grow up on our own and not take the hard road. As a species I'd argue foregoing the several rounds of genocide we will face would result in far less scarring of the cultural memory. The misery that we would have inflicted on ourselves and future generations would never happen and never enter the mass psyche if you will that scares our society today from previous periods of genocide. We would literally be a much happier species in the long run. We as a species have no choice but to eventually suffer from the current round of exploitation and collapse its too late to change that but we could if we wish choose to make the first one the last one. The scar will be there indeed the climate will serve as a reminder for generations to come. But perhaps just perhaps we are intrinsically smart enough to recognize whats really going on and make the first collapse the last one. In the long run I have a lot of confidence that eventually we will do the right thing and somehow I simply not capable of giving up hope that the long run might well be very short we are capable of fairly sudden and fundamental shifts to the better. Despite all of our faults one thing we have done is enter into the historical record a period of time when outright slavery was not practiced on a wide scale and individual humanity was at least conceptually important. Yes we messed up a lot of stuff but future generations won't forget that there was once a time when humanity lived without slavery and misery they would recognize that the period was fake in the sense that the foundation was unsustainable but the result will remain indeed I suspect future generations will exaggerate the real level of wealth and freedom we obtained. Regardless the concept of equality is well rooted in my opinion and humanity won't forget it. Indeed as I said they probably will exaggerate it. If we accomplished nothing else we at least did this and it is a good thing. The concept of freedom in the original sense that America created will live long after us. And yes its really for all its warts and American concept not just the US but all of America north and south. At one point in history people really did throw of the chains that bound them and at least briefly lived in a conceptually equal future. Future generations regardless of what happens will not forget this lesson. The meme will survive and depending on how things go perhaps one day finally be true in practice. Given my general doomer outlook I'm not actually that sad simply sad for the billions that will probably live and die a life of misery before we finally change. Indeed it could well be me and my immediate family thats thrown into a miserable lifestyle. If I did not think that its possible at any point in time for humanity to alter course and in a few generations adopt a stable lifestyle then I'd give up all hope. However I do believe that the possibility will always exist for my Grandchildren to live a better life than my children and if not them then their children. At any point our own children could well be the generation that experiences the maximum hardship level for our species with their children finally and fundamentally living a lasting better life. Something I could well live long enough to see with my own eyes. Many other generations in the past have seen real bottoms take place and rises sure the underpinning where not sustainable but the bottom of despair passed. We can never know for sure if its the last one our not even if initially its not quite on the right course a correction is possible. Heck back in the 1970's the world almost made the right choice regarding oil we came close to it. We could have corrected and changed course. That possibility is real and will be real from now on out regardless of the meta level speculation. It does not mean things won't get extremely painful for a while but it does mean that at any point from now on out wherever we bottom out its our choice to make it the last one and of course eventually obviously nature will make the choice for us. Heck maybe sometime in the future my way of thinking won't be considered something bordering on the lunatic fringe but mainstream that would be a start. I suspect that overtime this is what will happen technology silver bullets will be rejected short term exploitation etc. The multi-generational view will become the center since we have no choice but to do so. And Don the chances of you actually receiving your retirement in real value is zero as I think you realize. Your a smart man and sounds like you have kept up good relationships with your children I'm sure its crossed your mind that you may well end up dependent on them. I have children and I'm also hoping like hell I do a good enough job raising them that when my own time comes they will be willing to take care of me. For my generation at least our children will again be our retirement no choice in the matter. You almost certainly won't get your full retirement I'm practically certain to get none of mine. And just to finish this makes life interesting for people that chose not to have children because of the current overpopulation. Many having made the right choice for now may well find out that they screwed themselves for our coming future. The irony is not lost on me. Indeed the poor families with 5-6 kids could well be the ones that make it out the best over the next few decades. Reversals of fortunes are par for the course during periods of upheaval. Indeed the contradiction is itself a sure sign of just how messed up our society is at a fundamental level. And of course this sort of thing is one of the reasons why I think this is not our last collapse as large families with few survivors will probably be the way we get through this round of collapse and it makes it almost certain to set us up for a next round. Another brilliant, thought provoking series of letters, memmel. Carve it on a new Rosetta stone. Kudos to Memmel for improving his writing technique. The topic is not mt cup of tea, but it is at least readable. The topic is not my cup of tea, but it is at least readable. I agree with WHT: Memmel, your latest series of letters are indeed considerably more readable than some of your previous efforts. More people will likely read these better-written posts and understand your ideas, and that is a good thing. Thanks for your consideration and comments. Of course I cannot disagree with your perspective. I do understand it, I believe. And yes, current circumstances do not favor changes in the status quo. Nevertheless, speaking out about whatsoever appears to be true and real appears absolutely vital because one day people with vital knowledge might be in a position of being listened to and heard; they could find others value their recommendations of changes toward sustainability. If people more adequately understand the way the world we inhabit actually works and the placement of humankind within the natural order of living things, perhaps an alternate way forward in the future will be chosen, one that is more responsive to human limits and Earth's limitations. They could choose somehow not to repeat the most disastrous mistakes their forefathers and foremothers made in the early years of Century XXI. I try to communicate in the best ways I can what can be gained from knowledge that is alive in the world, but unfortunately ignored regarding what appears to me as the very last of the last taboos: HUMAN population dynamics. All this is to say, I suppose, that my plans going forward will follow the example of St. Catherine of Siena, 1347-1380. Speak out as if you were a million voices. It is silence that kills the world. The trick is to type slower than your mind goes. I'm a very fast typist (57 net words per minute, subtracting ten points off for each mistake) and have to slow myself down to remain coherent. Very best to you. Thanks for your comments. If only Memmel, Fred Magyar, Professor Gary Peters, you and I could persuade Gail Tverberg, Rembrandt, Jason C. Bradford, Rune Likvern and others on the TOD editorial board to make arrangements for an open discussion of all extant scientific evidence on human population dynamics. As far as I know, no top rank blog, including TOD's Blog, Andy Revkin's Dot Earth Blog and Scott Walker's Orion Blog, has sponsored a discussion of human population dynamics. Despite many interviews with the likes of Duval Dixon on what he evidently recognizes as the unsustainable increase in absolute global human population numbers, even the great man, Bill Moyers, has not once focused attention on available scientific reseearch of human population dynamics. Since 2001, as some of you are aware, I have been unsuccessful in my efforts to bring attention to the outstanding research on human population dynamics by Russell Hopfenberg and David Pimentel. Professionals with appropriate expertise in biology, ecology and demography appear to have neither adequately scrutinized certain empirical evidence nor reported findings, as would be expected. At least to me, that is unfortunate. Incidentally, if teleconferencing connections between the USA and Switzerland worked well, on this very day Russell Hopfenberg made a presentation of research on human population dynamics to a small assembly of physicists at the European Organization for Nuclear Research (CERN) in Geneva. Please note my willingness to do whatever I can to facilitate the discussion being re-requested now. I'd love to plunge head first into demographic data. Unfortunately, at this time I have another project moving to the front burner, and when I have a writing project I stop making comments until the work is published or rejected by all plausible agents and markets. I was fortunate enough to take some graduate sociology demography classes from the great Kingsley Davis. His work still reads well. Demography is also often done in departments of Public Health. Those Public Health people know a lot of things that most of the rest of us do not know. I used to date a Ph.D. candidate in Public Health and learned a lot from her. Thanks again, Don. Go forward just as you think best. Please know you have my complete support. Perhaps others in the community of TOD are in more favorable circumstances to assist me now. If the scientific research on human population dynamics to which I seek to draw attention does not have profound implications (at least potentially) for the future of the children, for life as we know it, and the Earth as a fit place for human habitation, then shame on me, for I have most certainly been in pursuit of a fool's errand for almost ten years. Should the evidence from Hopfenberg and Pimentel be fatally flawed and completely wrong, please know that that understanding will be fine with me. Better that I be the fool, than humanity be fooled by the brightest and most clever among us who have proclaimed themselves masters of the universe... the ones willfully ignoring the best available research on human population dynamics because this particular evidence "shows the lie" in the preternatural thought and theory as well as the ideological idiocy underpinning the shameful promotion by the mass media of their selfish interests, their pathological arrogance, their extreme foolishness. You are right. Demography rules. In the long-run the overshoot in world population is a more serious problem than Peak fossil fuels. That is a bold statement, but in about 2,500 words and a few numbers I could back it up. So could you. More people are hungry and malnourished on the surface of the Earth in 2010 than existed on the planet in the year of my birth. In that time, the population dynamics of the human species has been ignored, avoided and everywhere denied. Professional organizations like the International Union for the Scientific Study of Population have refused opportunities to so much as consider, let alone acknowledge extant scientific evidence. Experts engaged in the scientific study of population have been disavowing science. In its place a pernicious silence has been allowed to prevail. There is something not quite right about this behavior, I believe. In my lifetime the human population has more than doubled. We are talking about an increase of more than three billion people. If the leaders of the human community had shared an understanding of human population dynamics based on the best available science 65 years ago, the human-driven global predicament looming before humanity would have been less than half its current size. Please note that that predicament is only getting larger and more difficult to address and overcome with each passing year in which 75+/- million people are added to the family of humanity. How much longer are experts in biology, ecology and demography going to wait before they agree to examine the extant science of human population dynamics? Anyone can see that identifiable global ecological challenges, visible in the offing now, are formidable and becoming ever more forbidding. The failures of the brightest and most clever are colossal in our time. Never in the course of human events have so few stolen so much from so many. And soon enough, these self-proclaimed masters of the universe will have stolen their children's birthright, but not before they mortgage the children's future. pathological arrogance and extreme foolishness, I suppose. Perhaps someone will take the time to explain the situation to the children. Or else we can stand by, keep our mouths shut and let "thieves of the highest order" in pin-stripe suits steal them blind and destroy their world. We are nearing the end of the year 2010. Because the masters of the universe among us have been thinking about, and doing for, no one but themselves and their minions in the mass media (and in the major environmental and conservation organizations worldwide), even leading environmentalists and conservationists can be seen as having neglected their responsibilities to humanity and all else they claim to be protecting and preserving by willfully refusing to speak out regarding human population dynamics and human overpopulation of the Earth during the course of my lifetime. Even now, most of these leaders remain electively mute regarding matters having to do with the human population-driven predicament that looms before humanity and threatens the children's future. Of course it is easier now than it ever was before to duplicitously make 'the case' that it is too late to do anything; that we need, of all things, to keep doing the same greedmongering things what we doing now... and muster the 'courage' to do nothing more. Come what may for the children, the polluted environment and the ravaged body of Earth. "The powers that be" are counting on human beings with feet of clay to following the primrose path laid out by dishonest and deceitful leadership. It is never ever too late to speak the truth as we see it and to begin anew now here by doing somehow the right thing, even if doing the right thing as best we can does not conform to what is politically convenient, economically expedient, socially agreeable, religiously tolerable, and culturally prescribed for all of us by the masters of the universe. Does anyone have an educated guess as to how much spare capacity has been there from 2001 onward each year? I'd need these numbers for a top-down model. best I can come up with (for now) is this at Short term Energy Outlook . Scroll down to figures (on the right hand side) and at item 11 “OPEC Surplus Crude Oil Production capacity” there is also a link to download EIA’s estimates from 1999 (and forecasts for 2010 and 2011) in xls format. I would presume OPEC was the one with most (all?) spare production capacities in the period listed. Hope that can be of any help for you. It is helpful indeed. Thanks. But how much do you think I need to subtract from these numbers? This years 4-6 mbpd of spare capacity (IEA, EIA) is definitely not more than 3 mbpd and more likely 2 mbpd. In 2008 I'd say there wasn't any spare capacity at all. I do not believe that there was much spare capacity globally during the summer of 2008. The numbers from EIA are annual figures, but trying to work out the numbers from the summer of 2008 (June/July) using monthly data could probably give one reference point to work the numbers from in both directions. IEA defines spare capacity as capacity that can be brought in within 30 days and sustained for 90 days. To my knowledge oil in both commercial and strategic storage is not counted as spare capacity. During a crisis storage withdrawals will be used, but I would also expect others measures to come into play as well, like rationing.